a brilliant team of very experienced investigators, who have taught us all we know! 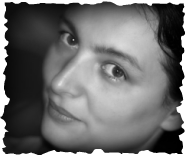 _Andrea is a medium and psychic profiler with a passion for spirit photography. Over many years of research her keen eye for detail and hunger for all things haunted has led her to countless eerie locations in pursuit of the ultimate genuine ghost image. She is the co-founder of Validate and is currently working on standardising the conduct of mediums during paranormal investigations with the aim of publishing and teaching those standards. One of her goals is to demystify the paranormal by making it easily understandable to everyone and to remove the fear factor by educating about how to deal with supernatural experiences. Attila Kaldy began private phenomena research and investigations in the late 90’s. He then co-founded the UFO Society of Western Sydney in 2000 and later expanded his inquiries with the organisation into the survival hypothesis. Among monthly public meetings Attila went on coordinating conferences with national and international speakers. In 2010 Attila and his wife Andrea formed Validate with an objective of aiding and coaching organisations within the field in addition to independent investigations. 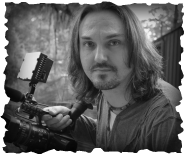 As a freelance producer, Attila has produced documentaries and a Television series surrounding Australia's unexplained.